Coffee mugs are always fun and you can usually pick them up at the airport so there is no real lugging around...and I like something that is actually useful and brings back memories when it's in use. 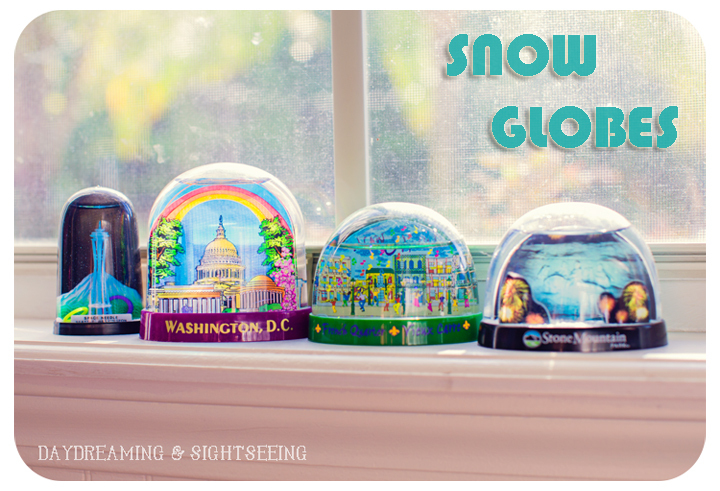 Snow globes, although very kitschy, are a lot of fun. My personal souvenir collection is from Paris. Both times I have been before I picked up a commemorative Swatch watch. One a map of the city, the other a route of the #12 metro line, which was the one we took the most because we have always stayed in Montmartre. 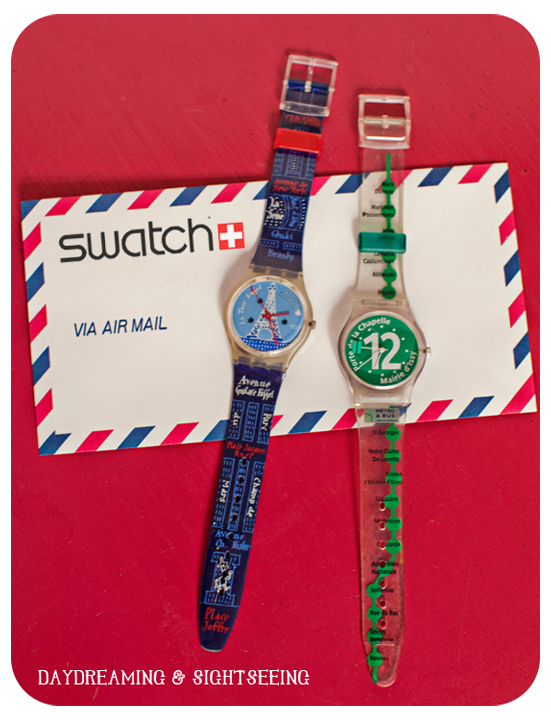 Swatch watches were the bomb when I was growing up! But they kind of fizzled out in the 90s. Now you can find them again a few places but nothing like they used to be (do you remember the jelly guards you could add). I really, really hope that they have another one this time. 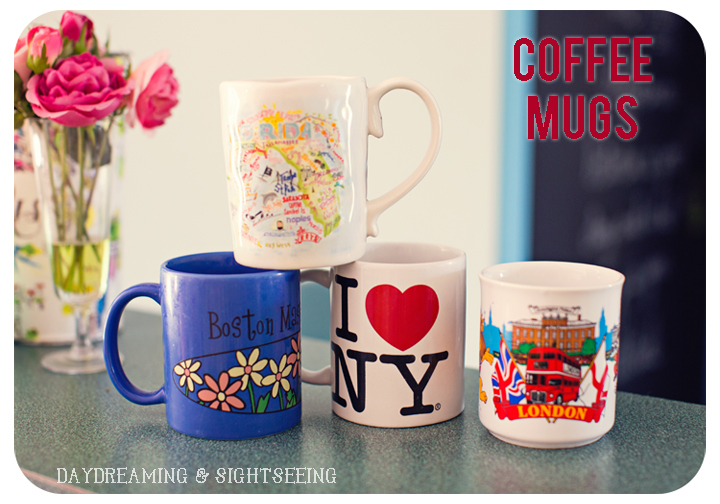 If you have any other good ideas for souvenirs, let me know! Talk to you guys next week! Oh my! How exciting! Have a wonderful and safe trip!